MIDTOWN (WABC) -- The Rent Guidelines Board is moving forward with the annual process of setting allowed increases for New York City's rent stabilized apartments. 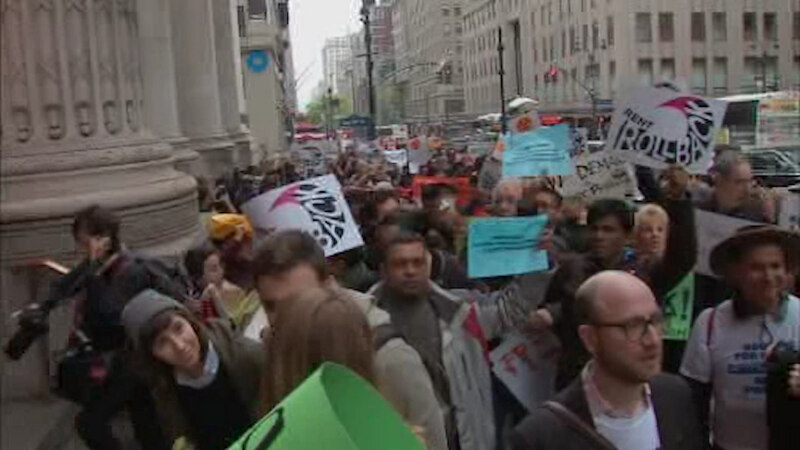 Tuesday, tenant rights activists marched in Midtown to the site of the meeting. Some of them are calling for a rent rollback, gong even further than last year's freeze on increases. They say landlords' costs fell over the last year. Landlords say that's only because of low fuel costs and a mild winter.